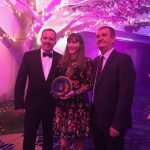 Novotel Twin Waters Resort has been recognised as the top venue in Queensland, taking home gold in the highly contested Business Event Venue category at the 2018 Queensland Tourism Awards, held on the Gold Coast on Friday night (16 November). “We are beyond excited to receive the highly sought-after gold award in the Business Events category,” said Rachel Smith, Director of Sales & Marketing for Novotel Twin Waters Resort. Ms Smith, who oversees the business events unit at the resort, said the highly-experienced team had been focused for some time on positioning Novotel Twin Waters Resort as one of Australia’s most sought after conference, events and incentives venues. 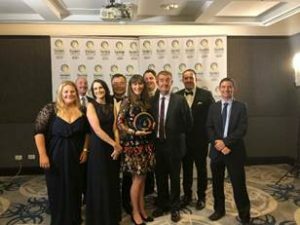 The business event venue award was one of two major wins announced for Novotel Twin Waters Resort at the event, with the iconic Sunshine Coast property also named official hosting venue for the Queensland Tourism Awards gala event in 2019. Mr Wellsteed added that since announcing the start of construction on the new purpose-built facility last month (October 2018), Novotel Twin Waters Resort’s convention centre had been extremely well received by both the local community and the wider business events industry. Novotel Twin Waters Resort owners, Shakespeare Property Group, has committed to investing more than $8 million to deliver the region its largest conventions venue within the iconic Novotel resort, and an additional $2 million in planned updates and improvements of public area and accommodation at the property. Shakespeare Property Group’s investment comes at a time of renewed investment interest in the destination, including Bruce Highway updates for better accessibility from Brisbane, and new runway facilities for the nearby Sunshine Coast Airport to enhance the route for interstate travellers. Mr Young added that the awards will be perfectly timed to capitalise on some investments and updates shaping the destination in the year to come. Sunshine Coast Mayor Mark Jamieson said securing the awards is a significant coup and has been achieved through the Business Events Assistance Program – a joint initiative of Sunshine Coast Council and Business Events Sunshine Coast, a division of Visit Sunshine Coast. “Hosting these prestigious awards will be a great opportunity to showcase both our region and our ability to host a premium quality industry event like this one,” said Mayor Mark Jamieson. “It’s our opportunity to show off the Sunshine Coast in all its glory – all of our amazing tourist attractions, the businesses, the beautiful local produce from across the region and the people within our community. It will also provide a significant economic benefit, given it is anticipated to attract over 1000 visitors to the Sunshine Coast for these awards”. Novotel Twin Waters Resort and its management company, AccorHotels (the largest hotel operator in Queensland), are among QTICs most committed corporate partners. QTIC is the peak industry body for tourism in Queensland, acting as “The Voice of Tourism”. QTIC is a non-government private sector, membership-based organisation representing the interests of the tourism and hospitality network across Queensland.